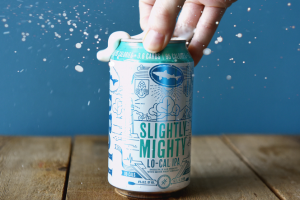 Indulge on a lighter note – with a hard seltzer cocktail. 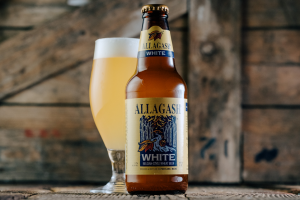 Fizzy and festive, these drinks are perfect when you don’t want too much holiday cheer going to your gut. After checking them twice, these recipes made our “naughty, but nice list”. 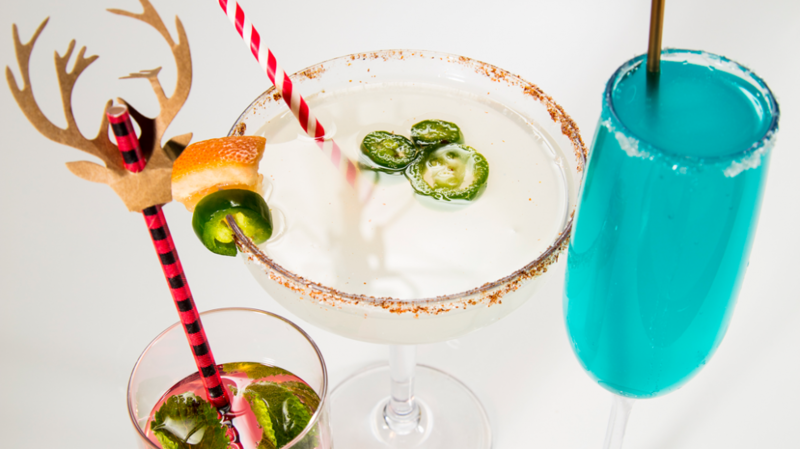 In a shaker, combine ice, tequila, lime juice and a few jalapeño slices. 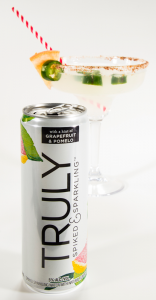 Pour mixture into margarita glass and top with Truly Spiked & Sparkling Grapefruit & Pomelo. Garnish with a grapefruit wedge and some more jalapeño slices. Pour the juice and blue curacao into a champagne glass, top off with Smirnoff Spiked Sparkling Seltzer and serve cold. Muddle cherries, lime and mint in a shaker with simple syrup. 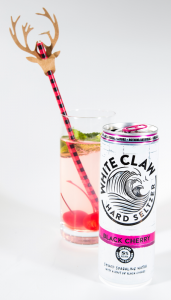 Add White Claw Hard Seltzer, white rum and ice. Shake gently to combine ingredients, without bruising the mint. Strain into glass.